Passed 12th or equivalent exam. MHT CET eligibility criteria 2019 are mention in the examination brochure, candidates are advised to go through before filling the application form. Candidates need to fulfil the eligibility criteria which was mention in the examination brochure in order to secure admission in the LAW college in the state of Maharashtra. Nationality: Candidates need to be the citizen of India to be eligible for applying in the MH CET Law 2019 exam. Age Limit: As per MH CET Law 2019 notification, there will be no age limit for the candidates. Education Qualification: The candidate must secure 45% for general and 40% marks for SC/ST candidates from a recognized Central/State board in his/her 10+2 exam for 5 years BA LLB programme and for the 3 years LLB programme, the candidate must have a graduation/ post graduation degree from a recognized university or institution. Pursuing Candidates: Candidates who are pursuing in the qualifying exam are also eligible to apply for the MH CET Law exam. The candidates who meet all the eligibility criteria can apply for the MH CET LAW 2019 Application Form. Domicile: The candidate must possess a domicile or born in Maharashtra to be eligible for MH CET Law 2019. The candidate father or mother must be domiciled in the State of Maharashtra to satisfy the eligibility criteria to write MH CET 2019. Parents Occupation: If a candidate father/mother is working in a Government of India or central government employee and their posting is in the State of Maharashtra then the candidate will be eligible for MH CET Law# year exam. Subject: If a candidate has passed HSC/SSC from a Maharashtra-Karnataka border school and whose mother tongue is Marathi will be eligible for MH CET Law 2019 exam. Candidates need to be a citizen of India to appear for MH CET Law 2019. The Maharashtrian candidates belonging to a specific Linguistic or Religious Minority Community within the state and as mentioned by the Government are eligible to apply for MH CET Law 2019. The NRI candidates are eligible to give the MH CET Law 2019. Foreign Students or Overseas Citizen of India (OCI) or Persons of Indian Origin (PIO) are also eligible to apply for MH CET 2019. The candidates of Jammu and Kashmir who were migrated in Jammu and Kashmir during terrorist attacks in 1990 are eligible to apply for MH CET Law 2019. The children of staff and officers of Jammu are also eligible under this category. The children of the Indian Administrative Services (IAS) or Indian Police Services (IPS) or Indian Foreign Services (IFS) sent to combat terrorist activities. The Maharashtra candidates have an advantage in the MH CET Law 2019 exam of a large number of seats over other categories. The candidates with Indian nationality can claim Reservation. Decisions pertaining to the intake of the candidate in the first year of 3 years or 5 years will be in the hands of the conducting authority. As per the government policy, he supernumerary seats shall be provided to the Private Professional Educational Institutions. The candidates who possess the domicile of Maharashtra are eligible to claim reservation under this category. MH CET Law 2019 Reservation can be claimed by the candidates whose name was the mention of MH CET Law 2019 eligibility under the J&K migrants. The seats shall be filled as per the policy of the government and by the competent authority. The candidates who belong to a religious and linguistic minority and a resident of Maharashtra can claim the reservation under this category. Any institution can admit the eligible candidates in the 20% sanctioned seat intake. Maximum 5 seats are available for the candidates belonging to the NRI or Foreign Student or OCI or PIO candidates at the institutional level. 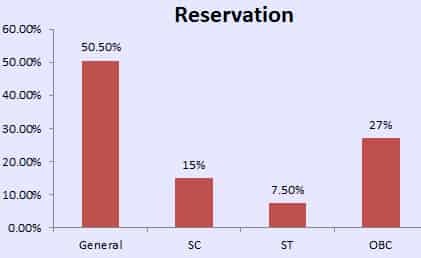 Can you tell the reservation of seats bifurcation? Follow the link to read in detail about the eligibility criteria. I belong to OCI category, can i apply? Yes, you are eligible to apply for the test. Hi i am Sachin. Just want to know about the domicile proof is a must or not. To appear for MH CET LAW, you need to be a resident of India and a domicile proof should be there stating the same. I am appearing for final year bcom. Can I register myself for MHCET Law entrance? You can apply for MH CET Law. Any Students who are appearing in the qualifying exam are also eligible to apply for the MH CET Law exam. To know more about the eligibility criteria, Click Here! I have Passed my B.Com examination with 37 Percentage. can I give MH CET? You are not Eligible for MH CET LAW. A minimum marks of 45 % for general candidate and 40% marks for SC/ST candidates are required to be eligible for the MH CET Law exam. hello, I m a housewife with 52.28% scores while graduation in 2003. I want to go for law. But will it be difficult to attend lectures regularly? Can I pursue law now? Also, want to do it from recognised university. Yes, it is possible for you to pursue your Law dreams even after the long break through MH CET Law. Candidates of Indian nationality are eligible to apply for the MH CET Law exam. For LL.B (five-year) programmes, students must have passed their Class 12 or equivalent exam from any recognised board securing 45% marks for general and 40% marks for SC/ST candidates to be eligible for the MH CET Law exam. For LL.B (Three-year) course, candidates must hold a graduate or post-graduate degree with obtaining minimum 45% marks for general candidate and 40% marks for SC/ST candidates to be eligible for the MH CET Law exam. Students who are appearing in the qualifying exam are also eligible to apply for the MH CET Law exam. There is no age limit to be eligible for the MH CET Law exam. If the possesses a 10+2 qualifying certificate through Open University system without having any basic qualifications, the candidate will not be considered eligible for MH CET Law exam. The lectures may be difficult to cope up with at times, but with regular practise you know you can do it yourself. You need to score well to get into the recognised universities like the NLU's. So, make sure you prepare well for MH CET Law. What is the eligibility criteria for the MH CET Law 2017? Eligibility criteria regarding Nationality: The candidate should be an Indian national. Eligibility criteria regarding qualification for the five-year law programme: The candidate must have passed 12th standard or any equivalent examination from any recognised board. The candidate should have scored minimum 45% marks in the qualifying examination. (minimum 40% marks for the SC/ST category candidates). Eligibility criteria regarding qualification for the three-year programme: The candidate must have passed 12th standard or any equivalent examination from any recognised board. The candidate should have scored minimum 45% marks in the qualifying examination. (minimum 40% marks for the SC/ST category candidates). Students who are appearing in the qualifying examination are also eligible. Candidates who possess a 10+2 qualifying certificate through Open University system without having any basic qualifications will not be eligible. I have mark sheet of 10th but not the mark sheet of 12th because I failed in 12th. Now I'm appearing of TYBcom 2016 - 2017 at Yashwantrao Chawan Open Maharashtra University. Am I eligible to give MH CET 2017? Candidates who are of Indian Nationality are eligible to apply for MH CET Law exam. For LL.B (Five years) programmes, students must have passed 12th or equivalent exam from any recognised board securing 45% marks for general and 40% marks for SC/ST candidates to be eligible for the MH CET Law exam. For LL.B (Three years) course, candidates must hold a graduate or post-graduate degree with obtaining minimum 45% marks for general candidate and 40% marks for SC/ST candidates to be eligible for the MH CET Law exam. You must make sure that you qualify these to be eligible for MH CET Law.